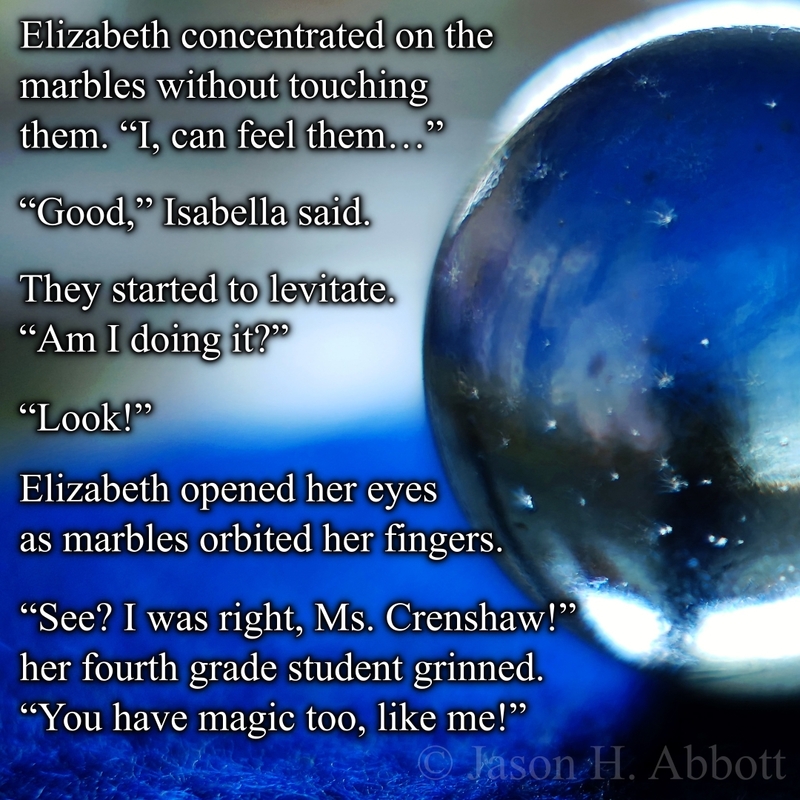 Elizabeth opened her eyes as marbles orbited her fingers. Super, a nIce read. Thank you.